But somehow over the years, I became a landscaping fanatic. That’s a nicer term for it than “lawn nazi” which I may or may not have been called before. Oh, I’m not the floral-garden-glove, Tilly-hat-wearing sort who actually knows the names of the flowers – I’m just fresh into my 40’s after all. I’m simply a girl who doesn’t mind dirty fingernails and who loves the welcoming sight of cultivated beauty and the feel of a lush, outdoor carpet for kids, pets and toes. Either way, you’ll understand then, that weeds are my mortal enemies. They taunt me all the more right now, because, between us girls, I had a little surgery recently so my offspring wouldn’t keep calling me “Tinkle-Bell” when I played sports with them. But sadly, among other restrictions, this procedure requires 4-6 weeks of no yard work. So with nose pressed against the window pane, I watch the same rain that produces 1 inch of growth in my grass, produce a 6 inch growth in the rogue dandelion on my lawn. As I rest inside, working my way through a fat Jane Austen book to keep me still and keep my mind off my lawnmower, I can’t help but think more than usual about all the wisdom to be gathered from the presence and practice of weeds. Seriously. I ponder these things while I do yard work. I’m sure that my girls will be happy that I have someone else to share my insights with besides them. It is no wonder to me that in humanity’s exchange of God’s good authority for dangerous autonomy, God provided perpetual object lessons to remind us of the insidious nature of sin. Lessons that, if we would be warned by them, could help us greatly in our battle against it. Weeds blend in at a quick glance; all the more so, the faster we’re moving. Weeds don’t need any encouragement to grow; they will emerge heartily without cultivation or fertilization. Weeds will crowd out, conquer and eventually characterize a property if left unchecked. Weeds overtake a lawn faster if it’s close to a weedy space. Weeds can’t be eliminated by quick, surface fixes; those only give the impression of health for a short time while the underlying spread continues, only to crop up at another time and in another place. Maintenance is always easier than repair. To keep a lawn cleared of weeds from the start is profoundly easier than trying to reclaim a lawn that has been neglected. Weeds have a harder time infiltrating when a lawn is thick and healthy. The faster our life pace, the shorter the glances are that we give to our heart condition and the less likely we’ll notice the sin before it overtakes us. We don’t need to nurture sin for it to grow. Passivity and indifference towards it is as good as an open invitation for sin to take up residence and multiply. If unchecked, sin will crowd out love, holiness and grace; It will conquer our effectiveness and joy; And eventually, the spreading prickliness becomes what we are known for. The more sinful the influences are that we allow close to us, the more likely that sin will spread into our lives. Trying to clean up our sin with will power and behaviour modification, without identifying its root and calling in a bigger power to extract it from the source, is a short-lived and ultimately useless solution. Noting and taking seriously the budding sin in our lives is profoundly easier than trying to restore our lives after giving way to sin for seasons and years. The best defense against sin is to nurture spiritual health & holiness in our lives so the beauty is too robust to leave space for sin to take root. When it comes to a yard, beauty and vigor don’t come without a hard fight against the weeds that threaten it. A fitting curse that rings true for our lives. Though Jesus’s redeeming work on the cross has broken sin’s dominion over us, we must live out of that reality and fight in the Holy Spirit’s power against the creeping remains of sin in our flesh. So perhaps you’ll look at weeds a little differently this summer and see them for what they are – a fitting and helpful reminder of the nasty nature of sin. Make no mistake – I loathe them in my lawn but I can’t help but appreciate the quality warning they offer and the reminder they give that by God’s grace and a watchful eye, the choking ugliness of sin doesn’t have to control or characterize my life. So with Bible in one hand (and for my lawn enthusiast friends, perhaps a trowel in the other), join me this summer in resolving to cultivate beauty in our domains. In these months that typically afford us the time for longer glances, let’s survey our domain with a careful eye and see what’s growing. A special welcome to a boatload of new friends from Monadnock Bible Conference in Jaffrey, NH and the Heritage ladies of Princeton, Massachusetts! It was lovely to meet you and thank you for joining our journey of seeking to apply God’s wisdom to our lives – it’s great to have you along! Great blog and some great spiritual parallels! Curious though – where does using the shop vac on the boulevard fit in? Yeah, residual winter sand wasn’t part of the curse but an enemy nonetheless! Wow. We really do have a lot to learn from weeds. Thanks for the specific reminders about the dangers of passivity and a hurried pace when it comes to lawn/heart maintenance. I’m feeling especially thankful for the Holy Spirit Weed Man who we can call upon to help us with this battle. Wonderfully crafted words of wisdom, caution, and encouragement. Thanks for starting off my day with this fresh perspective. Love it! God recently taught me through weeds, too! You wrote it beautifully. Jan, this resonates with me because as you know I love gardening and caring for my lawn. I find great satisfaction in popping a dandelion out by the root. I love you sweet niece – heal quickly. I figured it would! 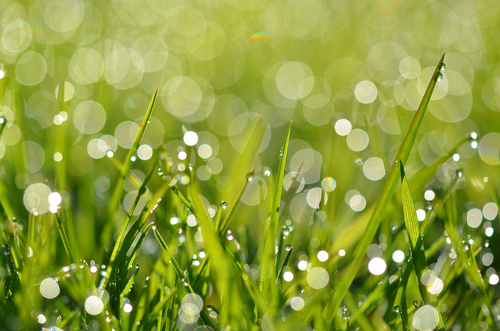 We lawn-types are cut from the same cloth and love the same lessons. Mom has raved about your lawn. 🙂 I love you too and though I’ve got more sprouting weeds in my lawn right now, I’m being a good girl to rest and heal up. Got baptized last summer and the nine-year-old made her first communion this may. That will be able to withstand all the storms of this life.